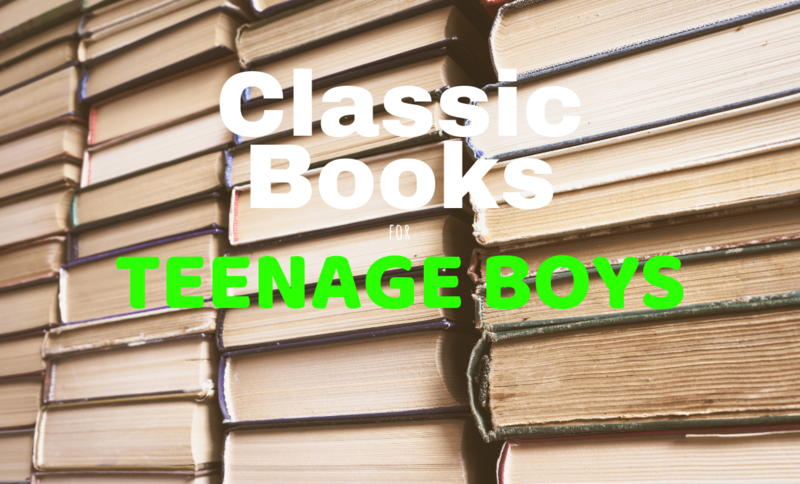 Introducing a range of classic fiction that is generally enjoyed by boys – even the reluctant readers! These books include pre-twentieth texts, books from the two world wars, as well as selections for between the wars and the immediate post-WWII period. American, British and German writers are included in the list. The eponymous hero Jim Dixon is a Medieval History lecturer at a provincial university in the north of England. Despite the ironic title, nothing quite seems to work out for Jim and he struggles to find a place in the world, a world from which he feels increasingly isolated. In this great ‘outsider’ novel, Amis captures the anger and frustration of a young man who sees his way thwarted by those with better connections but far less talent. A must-read novel both for its delicious humour and its fascinating evocation of a grim, grey post-war England. Paul Bäumer joins the German army at the beginning of the First World War. He arrives at the Western Front with a diverse group of friends whose fates intertwine. The book focuses not so much on warfare and fighting, but rather the horrendous conditions in which Paul and his comrades find themselves living year after year. The book is always a favourite amongst boys for its toilet humour, scenes of mayhem and schoolboy pranks that all take place against a backdrop of terrible doom and danger. The last chapter of the book, a single paragraph from which the title is taken, is painfully moving and only serves to highlight the senselessness of conflict. The novel is set during the American Civil War and has as its hero Henry Fleming, a private in the Union Army. Much of the book revolves around Henry’s questioning of his own (untested) courage: how will he react in the face of the enemy? In several graphic yet honest depictions of conflict, Henry discovers more about himself than he cared to know. A truly great war novel in which Crane is interested in exploring concepts of valour, duty and loyalty, but from a surprisingly modern standpoint given the the time at which the book was written. It is also extremely interesting to read in the light of what society was to learn about the nature of warfare only twenty years later. The animals on Manor Farm rebel and overthrow the farmer. They then assume control of the farm themselves. The novel (invitingly short!) details the trials and tribulations of the animals as they fight to control their own destiny amid attempts to destroy their solidarity both from without and within. Orwell’s classic parable of the rise and fall of the Soviet Union is flawless. The writing has a directness that is unparalleled and this, combined with his restless and ruthless search for truth behind ideology, makes this the greatest political novel ever written. However, it is far from a polemic and there are moments of real human (animal?) tragedy that would move even the most dialectically detached Marxist! One of the first credit crunch novels. George and Lennie, two itinerant workers in California during the Great Depression, land casual jobs on a ranch, hoping to “work up a stake” and buy a place of their own. However Lennie, who despite his immense physical presence has the mind of a child, accidentally brings tragedy and misfortune down upon the two friends’ heads. A road novel, an astute piece of social analysis, a brilliant study in character and dialogue – all of this and more can be said about this masterpiece. Popular with boys, initially at lest because it’s short (I am sorry parents, but it’s true – this matters a lot! ), the story soon engulfs all but the most unwilling reader. You’d have to be made of stone not to be moved to tears by the book’s concluding moments. This hilarious pseudo-diary first appeared in Punch magazine in 1888-89. Mr Charles Pooter is a social climbing, irredeemably snobby clerk in the City and his diary details his everyday life as well as significant social and family occasions. Mr Pooter’s pretensions and lack of self-awareness provide the richest veins of humour, but nevertheless he is a lovable figure and is perhaps one of the finest examples of the inconsequential suburban hero. This book, helped in no small measure by its charming illustrations, cannot but help to delight. It serves in one sense as a fascinating social document in the way that it lays bare lower-middle-class life in the Victorian age, but is also startlingly modern at times, especially in the depiction of the strained relationship between Mr Pooter and his son Lupin, which is stunningly contemporary in the way it dissects the generation gap and the despair a father feels at seeing his son’s potential go to waste. This is undoubtedly one of the most enjoyable books you will ever read. The archetypal Greene work, the novel is set in Cuba prior to Castro coming to power. James Wormold, a vacuum cleaner salesman, is enlisted by the British secret service and agrees to ‘spy’ for them in order to cover his teenage daughter’s very expensive tastes. However, Wormold’s spying is at first entirely imaginary, but his life begins to unravel when his fantasy world and the real world begin to coincide. A classic work for boys in terms of its subject matter, but more importantly Greene’s direct yet poetic prose style has turned many a sceptic into an enthusiastic reader. A British sportsman attempts to assassinate Hitler in his rural retreat. However, he is captured and tortured although he finally manages to escape. He then finds himself on the run from a mysterious figure and the two engage in a riveting and deadly game of hide and seek (the scenes in the London Underground are a particular highlight). Part military survival manual, part thriller, part old fashioned heroic tale, the pace is gripping, the descriptions of the protagonists’ plans and tactics for survival are compelling and right triumphs at the end. A boy can ask for no more. Prior to the outbreak of World War I, Richard Hannay has returned to London from Rhodesia (Zimbabwe) when a mysterious man calls upon him and desperately seeks his help to stop a group of German spies known as the Black Stone. However, when the man is murdered in Hannay’s flat he is forced to go on the run. A complicated and twisting plot, treachery, betrayal and some good old fashioned murder and mayhem make this the father of all ‘man on the run’ novels and films. This, combined with the glimpse back in time to a world that no longer exists, makes it a vital and necessary part of every young man’s education. Bertie Wooster finds himself in one of his usual scrapes: trying to reunite his friend Tuppy Glossop with his estranged fiancee Angela, avoiding getting married to the soppy Madeline Bassett and trying to stay on his Aunt Dahlia’s good side so that she doesn’t ban him from eating any more of her peerless chef Anatole’s (“God’s gift to the gastric juices”) sumptuous dinners. Thankfully, at Bertie’s side throughout is the inimitable Jeeves, his gentleman’s personal gentleman, who is always there to ensure that he avoids the ultimate peril. A classic set piece is the laugh-out-loud scene in which Bertie’s friend Gussie Fink-Nottle drunkenly presents the prizes at Market Snodsbury Grammar School, which once read will be never be forgotten. Quite simply, this is the funniest, most well-written, warmly generous book in twentieth-century English literature. Life would be unbearable without it.